Areas of expertise: dissolved organic carbon, soil and water acidification, biogeochemical cycles of elements, biogeochemical modelling. Evans, C.D., Page, S.E., Jones, T., Moore, S., Gauci, V., Laiho, R., Hruška, J., Allott, T.E.H., Billett, M.F., Tipping, E., Freeman, C., Garnett, M.H. (2014) Contrasting vulnerability of drained tropical and high-latitude peatlands to fluvial loss of stored carbon. Global Biogeochemical Cycles 28, doi:10.1002/2013GB004782 (IF=4,528). Heliwell, R.C., Wright, R.F., Jackson-Blake, L.A., Ferrier, R.C., Aherne, J., Cosby, B.J., Evans, C.D., Forsius, M., Hruška, J., Jenkins, A., Krám, P., Kopáček, J., Majer, V., Moldan, F., Posch, M., Potts, J.M., Rogora, M., Schopp, W. (2014) Assesing recovery from acidification of European surface waters in the year 2010: Evaluation of projections made with the MAGIC model in 1995. Environmental Science and Technology 48, 13280−13288 (IF=4,528). Hruška, J., Oulehle, F., Šamonil, P., Šebesta, J., Tahovská, K., Hleb, R., Šikl, J. (2012) Long-term forest soil acidification, nutrient leaching and vegetation development: Linking modelling and surveys of a primeval spruce forest in the Ukrainian Transcarpathian Mts. Ecological Modelling 244, 28-37 (IF=2,326). Oulehle, F., Evans, C.D., Hofmeister, J., Krejčí, R., Tahovská, K., Persson, T, Cudlín, P., Hruška, J. (2011) Major changes in forest carbon and nitrogen cycling caused by decline sulphur deposition. Global Change Biology 17 (10), 3115-3129 (IF=8,224). Oulehle, F., McDowell, W.H., Aitkenhead-Peterson, J.A., Krám, P., Hruška, J., Navrátil, T., Buzek, F., Fottová, D. (2008) Long-term trends in stream nitrate concentrations and losses across watersheds undergoing recovery from acidification in the Czech Republic. Ecosystems 11, 410-425 (IF=3,531). Hruška, J., Kohler, S., Laudon, H., Bishop, K. (2003) Is a Universal Model of Organic Acidity Possible: Comparison of the Acid/Base Properties of Dissolved Organic Carbon in the Boreal and Temperate Zones. Environmental Science and Technology 37, 1726-1730 (IF=5,481). Hruška, J., Moldan, F., Krám, P. (2002) Recovery from acidification in central Europe – observed and predicted changes of soil and streamwater chemistry in the Lysina catchment, Czech Republic. Environmental Pollution 120, 261-274 (IF=3,902). Hruška, J., Laudon, H., Johnson, C.E., Köhler, S., and Bishop, K. (2001) Acid/base character of organic acids in boreal stream during snowmelt. Water Resources Research 37 (4), 1043-1026 (IF=3,709). Editorial board of Environmental Pollution (IF= 3,902; 2003-2008), Bulletin of Geoscineces (IF=1,495; 1999-2009) and Ochrana přírody (2007-). Associated editor Journal of Geochemical Exploration (IF =2,432; 2014-). 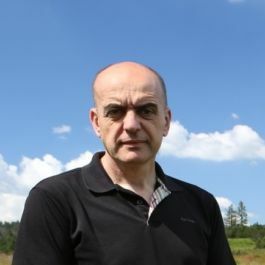 Member of Council of the Minister of Natural Environment for National Parks, Scientific Council of the Krkonoše National Park (1998-), Šumava National Park (2006-2011, 2014-) Scientific Board of Charles University (Faculty of Sciences, 2006-2013), Council for Sustainable Development of the Governement of the Czech Republic (2014-), Scientific Board of University of Life Sciences in Prague (Faculty of the Environment, 2016-). Principal investigator of governemental task 532/2000 „Proposal for complex and systematic solution leading to mitigate immision cased forest soil degradation”. Main organizer of international conference ACID RAIN 2005 in Prague. Memeber (2004-2007 ) and chief (2006-2007) of the commission 205 (ecosystems, soil and forest) of the Czech Science Foundation. Member (since 2014) and chief (since 2015) of the panel 504 (landcape, soil and forest) of the Czech Science Foundation. Nomination for Prize of Josef Vavroušek (2011). Award of Vojtěch Frič for popular science papers (2013). Hruška, J., Krám, P., Moldan, F., Oulehle, F., Evans, C.D., Wright R. F., Cosby, B. J. (2014) Changes in soil DOC affect reconstructed history and projected future trends in surface water acidification. Water, Air and Soil Pollution 225:2015 DOI 10.1007/s11270-014-2015-9 (IF=1,685, 5x). Hruška, J., Oulehle, F., Šamonil, P., Šebesta, J., Tahovská, K., Hleb, R., Šikl, J. 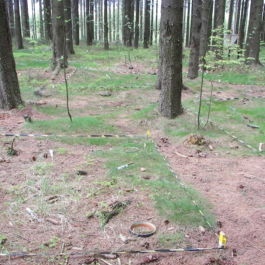 (2012) Long-term forest soil acidification, nutrient leaching and vegetation development: Linking modelling and surveys of a primeval spruce forest in the Ukrainian Transcarpathian Mts. Ecological Modelling 244, 28-37 (IF=2,326, 7x). Oulehle, F., Evans, C.D., Hofmeister, J., Krejčí, R., Tahovská, K., Persson, T, Cudlín, P., Hruška, J. (2011) Major changes in forest carbon and nitrogen cycling caused by decline sulphur deposition. Global Change Biology 17 (10), 3115-3129 (IF=8,224, 32x). GA15-08124S (GAČR) Response of forest ecosystem biogeochemistry under future scenarios of acid deposition, eutrofication, forestry and climate change (2014-2016). EHP-CZ02-OV-1-048-01-2014 (MŽP) Monitoring malých lesních povodí GEOMON – efektivní nástroj propojení výzkumu a strategického rozhodování v oblasti životního prostředí (2015-2016). EHP-CZ02-OV-1-038-01-2014 (MŽP) Aktuální stav poškození lesních a vodních ekosystémů na území EVL Krkonoše a harmonizace základní monitorační sítě pro sledování jejich vývoje jako nezbytného podkladu pro managementová opatření k posílení jejich stability a biodiverzity (2015-2016). BIOMDOC Acid/base character and origin of DOC in different biomes. INTERACT (US National Science Foundation, 2014). P504/11/2135 (GAČR) The effect of disturbance regime on soil variability and soil formation on a coarse spatial scale (2011-2013). 30308/ENV/2008 (MŽP) Analýza rizik využití potenciálu lesních těžebních zbytků pro energetiku vyplývajících z dopadu na půdu a koloběh živin (2008). CZ0051 (EEA/Norwegian Financial Mechanism) Vliv aplikace Goteborgského protokolu na acidifikované a eutrofizované vody a půdy (2007-2011).